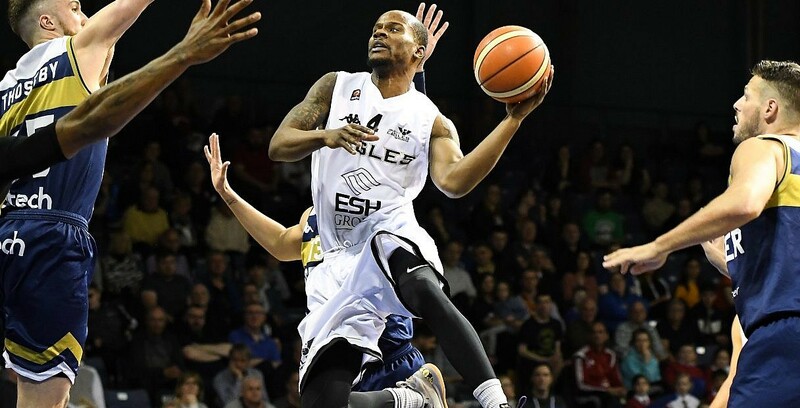 Eagles hold onto record in thrilling away win at Wolves. Esh Group Eagles Newcastle held on to record a thrilling win on the road against Worcester Wolves. The Eagles move level on points with Leicester Riders in second as they improve to 18-8 with the Wolves unable to put back-to-back home wins together as they fall to 4-22. Turning point – Newcastle had a double-digit advantage wiped out in the second quarter as the home side levelled at the half-time break. The Eagles moved back ahead, but a thrilling finish ensued as Worcester kept it close in the fourth and had a chance to force overtime after Moses had made it a three-point game, late on. Key stat – The Eagles shot at 55% overall from the floor, but their 21 turnovers allowed Worcester to stay in contention before coming up short. Game hero(es) – Moses starred with 25 points on 12 of 16 shooting along with eight boards, while four other players hit double figures in the win for the Eagles.